Spirits soared and the cheers were deafening as Santa jetted in, out and around Shannon for his sixth successful Shannon flights pre-Christmas extravaganza. The annual Santa Flights have become very much an annual fixture and one of Ireland’s best-loved, unique and sought-after tickets for the big season. The two-day affair sent children away delighted and Santa, his troupe of elves, not to mind Shannon Airport’s volunteers, exhausted but uplifted by the experience. The excitement was palpable from the minute the very special passengers entered the terminal building with teams of Santa’s helpers manning the airport check-in desks. 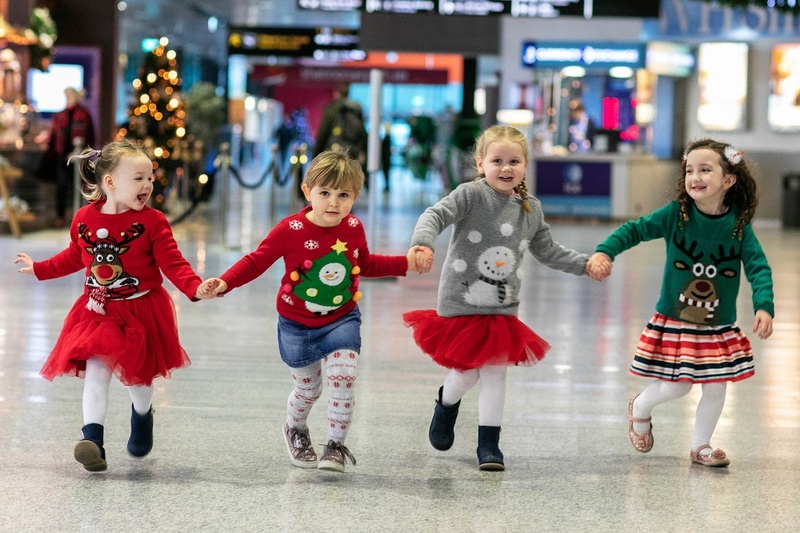 The children were entertained by dancing elves and festive fun and games in the transit lounge to while away the minutes and manage the excitement in the hour or so before they boarded their flights. A €1 per seat lottery application fee was applied for entry with a flat €1.50 booking fee and all profits from the day are going to Shannon Group’s designated charities for 2018, the Share a Dream Foundation and the Clare Crusaders. As expected, the flights were a magical experience for the children and their parents, including young Kai and Callan Urkuhart and their mother Theresa from Ennis. “It was fantastic. It was our first time and the airport and the staff put on an amazing experience for the children. They had a blast. Said Clare View, Limerick woman Eimear Mulcahy, “I came here with my sister and we had my two daughters, a friend of theirs and two nieces from Cork. What a great way to start the Christmas season. It was great fun. We loved every minute of it, from the moment we walked into the airport. As for Santa himself, the big man said he wouldn’t dream of missing his annual trip to Shannon to meet all the boys and girls. “I love coming to Shannon and meeting all the lovely Irish children before Christmas.